A capsule endoscopy uses a tiny camera in a vitamin sized capsule to take pictures of the intestinal tract. This camera takes thousands of pictures that are transmitted to a recorder that is worn at the waist or over the shoulder. The procedure is started in a doctor’s office, and technicians attached sensors to the patient’s chest and abdomen, which are attached to the recorder. The capsule passes through the body in about 1-2 days. Capsule endoscopies are used solely as diagnostic tools; there are no biopsies taken with this test. A capsule endoscopy is used because it helps physicians see the inside of the small intestine, an area located between the stomach and colon that is difficult to reach through a traditional endoscopy. Capsule endoscopies can provide better imaging of the small intestinal lining than other tests. Obscure Bleeding in Gastrointestinal Tract: Capsule endoscopies can identify sources of gastrointestinal bleeding not diagnosed through other endoscopies. Inflammatory Bowel Diseases: Capsule endoscopies can reveal inflammation in areas of the small intestine that help physicians diagnose Crohn’s disease and other inflammatory diseases. Cancer: Capsule endoscopies can identify tumors in the small intestine that may be difficult to detect through other procedures. Celiac Disease: Some studies suggest that capsule endoscopy can help identify changes in the small intestine associated with Celiac disease, which is an immune reaction to gluten. Polyps: People who have a family history of polyps syndromes may have a capsule endoscopy performed to detect the presence of polyps in the small intestine. 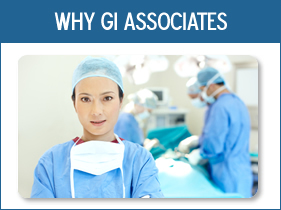 GI Associates specializes in performing capsule endoscopies that are safe and comfortable. 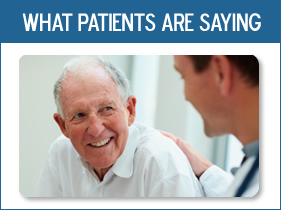 We’ll explain to you how the procedure works, and answer any questions you may have. Our experienced staff works with you every step of the way, and we’ll explain the results in simple terms that are easy to understand. For more information or to schedule an appointment, contact our offices at 708.424.1202, or email us using our contact form. Let GI Associates of Chicago keep your health on the right track.